As someone born in the mid-1970s, it's sometimes hard to wrap my mind around Disney's stewardship of the Star Wars universe. Being born into the world a few months before what we now know as A New Hope meant waiting a long time between new chapters of this amazing story set a long time ago in a galaxy far, far away. Beyond the original trilogy, that Christmas special, and two Ewok movies (that I am sure got cinematic releases in the UK but which were also TV specials here in the US), filling in the back stories of the Empire and the Rebellion was something kids did for themselves with the wide array of toys so many of us spent so much time playing with. These days it's hard to swing a womp rat without hitting some new Star Wars property or other. Such has been the cadence of new theatrical releases that, in the wake of a box office performance by Solo that was merely "fine" rather than "exceptional," people were even talking about the idea of Star Wars fatigue! Well, add one more new thing to the list. 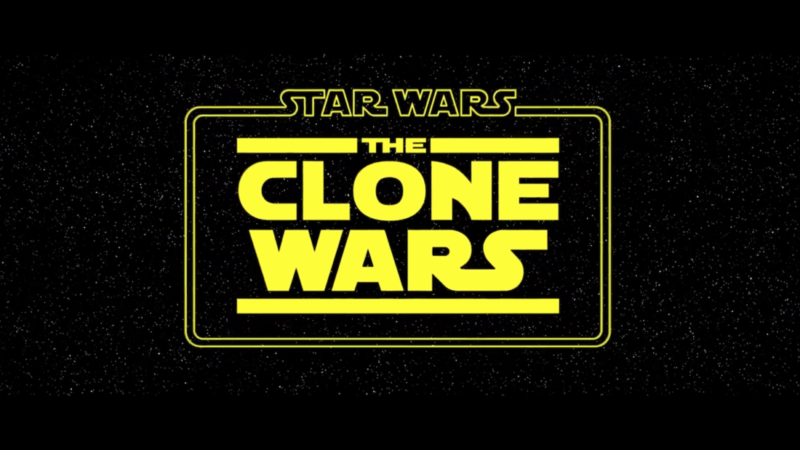 At this year's Comic-Con, a panel on the ten-year anniversary of The Clone Wars animated series ended with a surprise: a new season of 12 episodes has been commissioned to run on Disney's streaming service (which launches next year).